A 5cl miniature bottling of this iconic and historic Islay based blend. 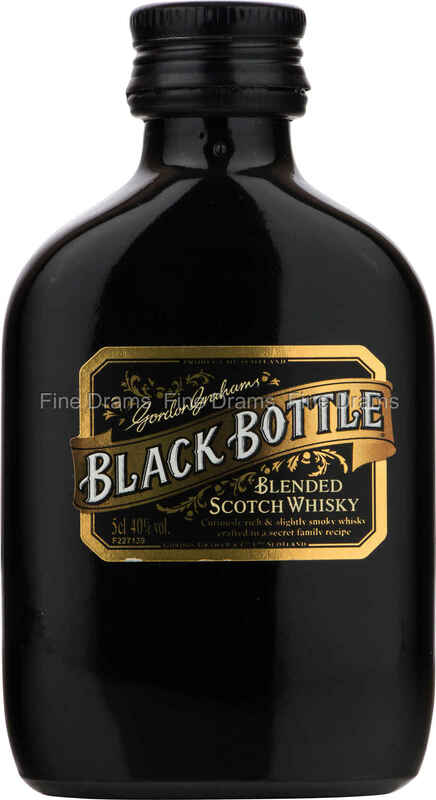 Black Bottle has been on the market since 1879, and has a high malt content. Drinkers should expect a slightly dusty oak note accompanied by some sweet molasses flavours, a little ginger, some chocolate and green apple and good kick of Islay peat. Pleasingly, this miniature is made with the same black glass that gave the full sized bottle its name, and is a great chance to try before you buy.